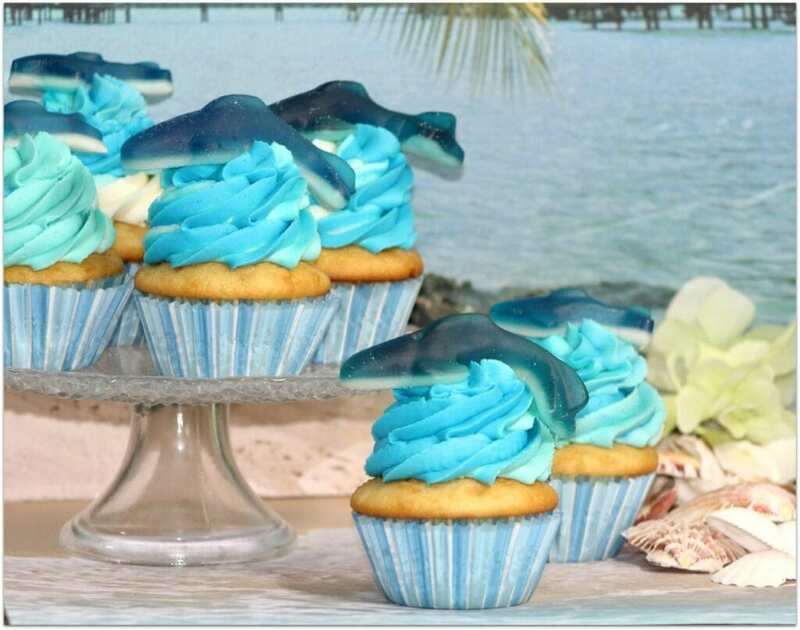 Shark Birthday Party Cupcakes or Shark Week Dessert! Looking for the perfect dessert for a shark birthday party or a special treat for a shark party? We’ve got the perfect fun dessert! There was a time when there would be nothing but the Discovery Channel on TV at our house during Shark Week. For a time, I thought my oldest might go into Marine Biology. She loves marine animals. Unfortunately, she hates math, so that pretty much put a hole in that major. She plans to be an artist, so who knows, maybe she can combine the two like Guy Harvey has done. 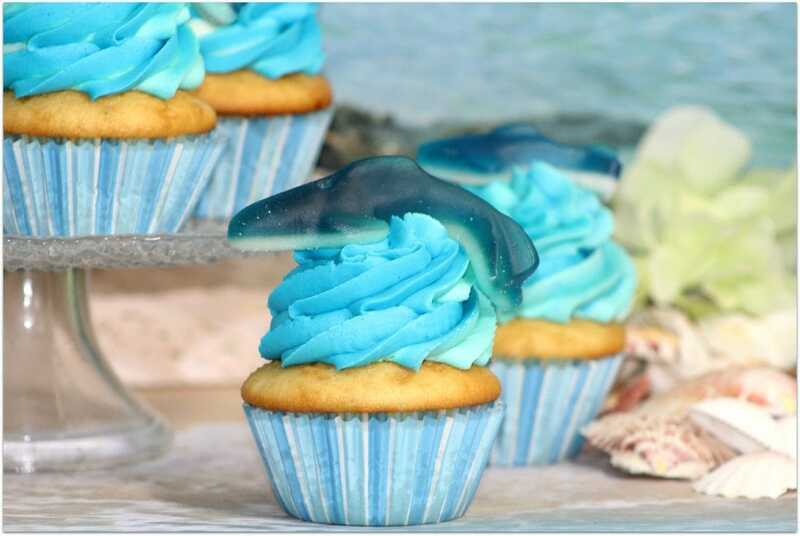 These Shark Party Cupcakes are a work of art, too! Aren’t they beautiful? Sift flour, baking powder, baking soda and salt into a medium bowl Place to the side. In a bowl cream butter and sugar with an electric mixer until it’s light and fluffy. Begin to add the eggs one at a time, mix to combine after each one you add. Add the vanilla, sour cream and almond extract, mixing until combined. Reduce the mixer speed to low and stir in the flour by adding ½ cup at a time. Stir in the last bit of flour with a spatula until just combined. Fill the cupcake tins 2/3 of the way full. Bake in oven for 14-18 minutes or until a toothpick inserted into the center comes out clean. Cool for 2 hours before icing. In the bowl of a stand mixer, cream butter, sugar and salt on medium-high speed until combined. Add cream, vanilla extract, and vanilla bean paste and continue to beat until light and fluffy. Separate frosting in thirds into three different bowls. Frost the cupcakes starting in a circle on the outer ring and begin to work your way in till you reach the center and form a peak. Place a gummy shark on top of each cupcake. Pretty cute, right? These are great for any kind of shark party, but also fun for a beach party. If you love cupcakes, check out one of my most popular cupcake post of all time, 17 Disney Cupcakes! You can also find tons of cupcakes on my Cupcake Crazy Pinterest Board! Awesome! Can’t wait for Sharknado 3. I love cheesy movies. These shark cupcakes are awesome! Shark week has always been a family favorite of mine! These are perfect! I love how pretty the icing looks and of course the gummy shark! What a creative topping! I should do this for my kid’s birthday celebration. He loves sharks! 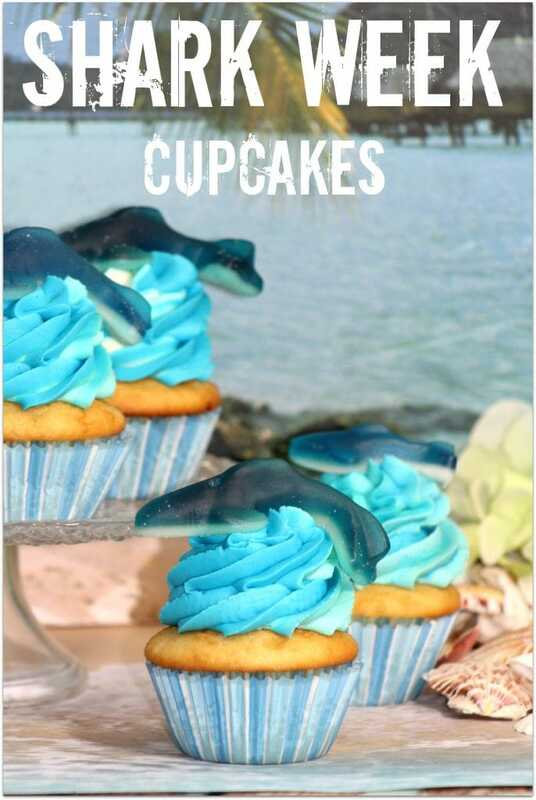 These are just adorable cupcakes and I want to make these for Shark week. My niece and nephew would love helping me make these. These cupcakes turned out so pretty! These are seriously just too cute! Love these shark theme cupcakes! The frosting looks awesome and so perfect! I am also digging those watermelon and lawn mower cupcakes from Cupcake Crazy on Pinterest. My kids would love these! They love watching shark week and they love gummies! 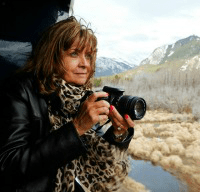 🙂 Thanks for sharing at Welcome Home Wednesdays!